Quiche is a classic recipe that is perfect for entertaining for breakfast and brunch. 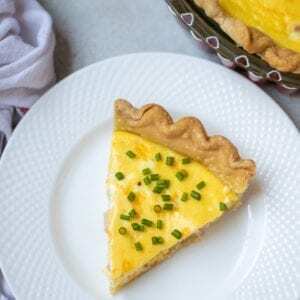 This quiche recipe is a great base recipe to keep on hand for holiday breakfasts, bridal or baby showers, and brunch parties. 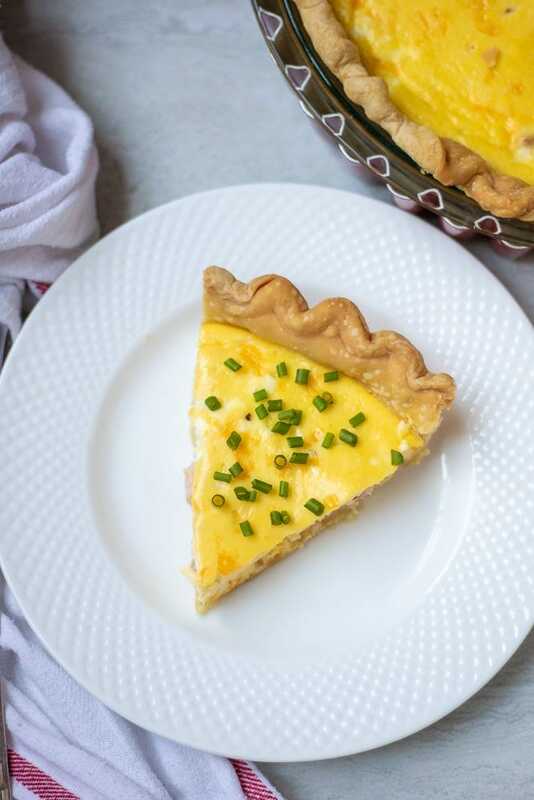 Quiche is a classic French recipe made with eggs and cream baked into a flaky pie crust, but the varieties of quiche are as endless as your imagination! And in my opinion, Quiche is perfect recipe for breakfast or brunch. The varieties of quiche are endless. Quiche is incredibly easy to make. Quiche can be served cold or warm. Depending on your filling, quiche can be an inexpensive recipe. If there was ever a quintessential brunch recipe, it has to be quiche. I think every brunch I have ever attended has at least one variety of quiche available. It has to be because people LOVE quiche. What is not to love? Fluffy eggs baked into a perfect pie crust and seasoned with just about anything your heart desires, quiches always hit the spot. They are full of healthy protein, and have a creamy filling finished with a crisp crust–the perfect contrast in textures. Quiche can be made in a variety of ways, but it starts with two essential things. 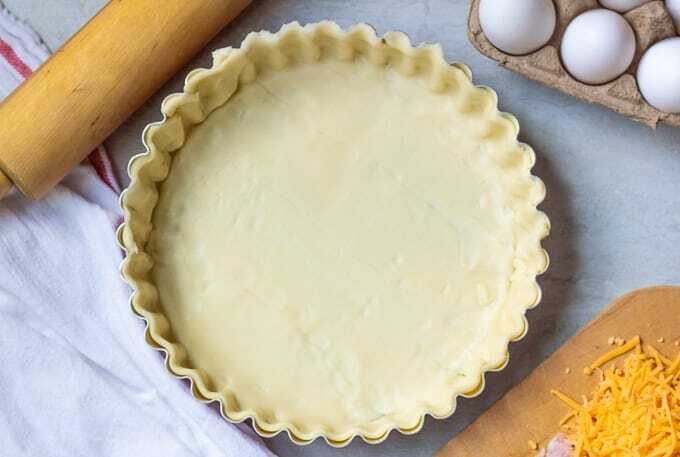 Brush pastry crust with egg white (this prevents crust from getting soggy). 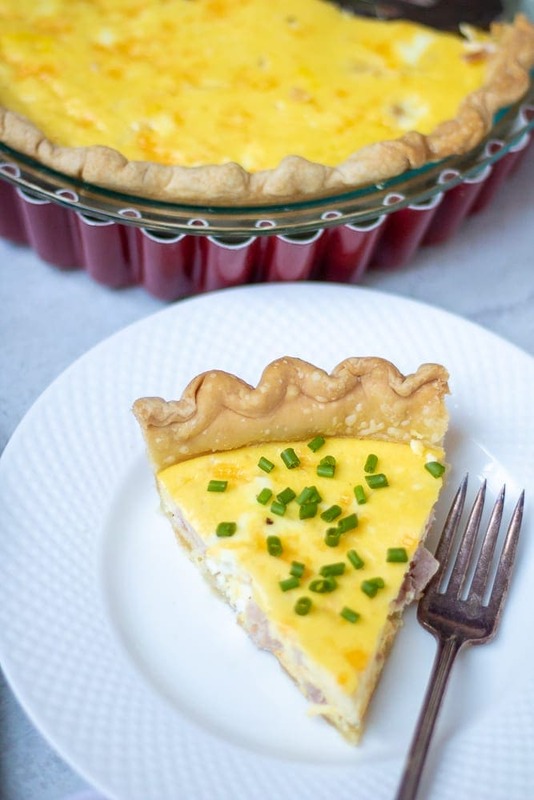 Sprinkle quiche crust with chosen filling options (like ham and cheese). Pour egg mixture over pie crust and fillings. Bake until eggs are set. There are a couple options for a the crust of your quiche. Make a homemade pastry crust from scratch. Use a pre-made pie frozen pie crust. Use a pre-made refrigerated pie crust. Personally, I opt for a high quality refrigerated pie crust. I can find a great one without hydrogenated oils at whole foods or trader joes. By using a pre-made pastry dough, making quiche is incredibly simple! If you want a crustless quiche, a frittata is the way to go! 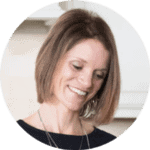 Check out my recipe for Broccoli & Asparagus Frittata or Mediterranean Frittata. Roll out pastry dough into 1/4 inch thick circle. Place crust into a 9 inch pie pan. Using your fingers (or sides of a fluted pie plate), trim and crimp the edges. Place pie dough into refrigerator until egg mixture is ready. While your prepared crust is in the fridge, it is time to mix up the eggs for your quiche. Whisk together eggs with cream, onion powder, salt and pepper until creamy and well combined. You can alternatively blend your quiche base in a blender or food processor for an ultra smooth filling. Gently tap bowl (or blender) on counter to remove some air bubbles that may have formed in eggs while whisking. Limit filling choices to a total of 2 cups total volume. This ensures enough room in pastry crust for egg mixture and fillings without bubbling over. It is best to saute of blanch vegetables prior to adding to a quiche filling. For example, if adding onions, saute onions until they are softened before adding to pie crust for best flavor. Pre-cooking vegetables helps rids the veggies of extra moisture which can make your quiche crust soggy and your filling bland. You want to bake the quiche until the eggs are completely set. A quiche is done when a toothpick can be inserted in center of quiche and come out clean. After 25 minutes of baking, it is best to check your quiche to determine if the crust is browning too much. At this point, you can use foil to shield your crust from further browning if needed. Here’s a handy step-by-step directions on how to make a foil shield for you pie crusts. Once your quiche is baked and cooled, you can store in fridge for up to 4 days. For best taste, 3 days. Wrap quiche in plastic wrap and then foil to seal out moisture. If you want to freeze quiche unbaked, place full quiche on flat surface in freezer and freeze until solid. Once frozen, wrap quiche in foil and place in plastic freezer bag, removing air before sealing. To reheat frozen unbaked quiche: Remove from freezer bag and keep top of quiche covered with foil. Baked for 1 hour at 375 degrees. Uncover the foil from quiche and bake an additional 10 minutes. To freeze baked quiche, place full quiche in freezer and freeze until solid. Once frozen, wrap quiche in foil and place in plastic freezer bag, removing air before sealing. To reheat frozen pre-baked quiche: Remove from freezer bag remove foil. Bake at 350 degrees for 20-25 minutes, or until just warmed through. Cream is not necessary for quiche. Feel free to substitute half and half or milk. If using non-dairy milk, be sure it is unsweetened. This is a classic recipe for a delicious quiche that can be customized in a variety of ways. 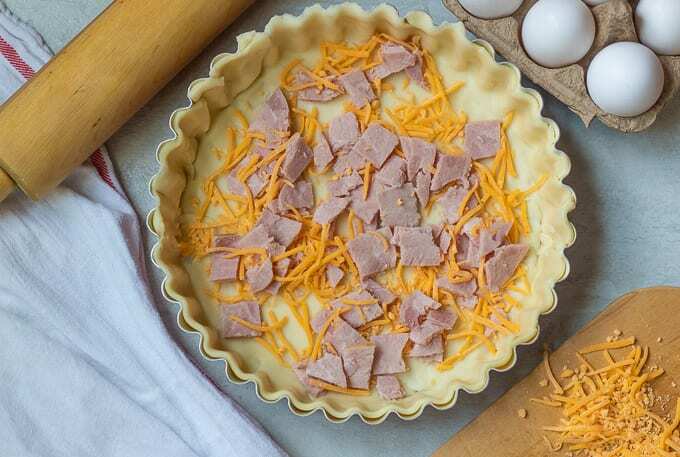 Sprinkle quiche crust with ham and cheese (or other desired toppings). Pour egg mixture over pie crust. Quiche is such a perfect idea for a brunch! 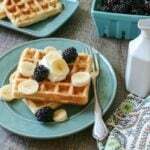 Perfect classic recipe! Love to start my day with a quiche! Great yummy meal for everyone . 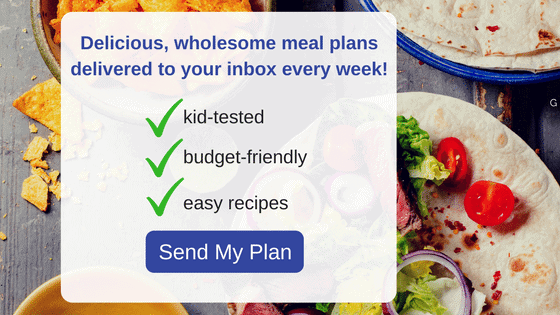 It really is such a versatile recipe! And it keeps you full for hours!